As contact centers look to adjust to the increasing demands of customers and the various ways in which they choose to communicate, the need for a modernized approach has never been greater. The contact center world is changing with advances in technology, rise in multichannel communication, and the push to cloud. So how does a company respond? What is the potential impact on productivity? How do you manage the risk new technology brings to the fray? And how can you ensure your profits or costs are not adversely affected? 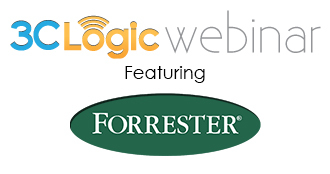 Join Robert Killory, Chief Customer Officer at 3CLogic, and Art Schoeller, VP and Principal Analyst at Forrester, as they discuss the primary challenges facing contact centers today and 3 ways to plan strategically. As Chief Customer Officer, Robert Killory’s primary role is to focus on the development and execution of all programs designed to sustain superior customer service. Robert has over 25 years of experience developing and implementing Contact Center solutions. As Vice President and Principal Analyst at Forrester Research, Art Schoeller supports Application Development & Delivery (AD&D) Professionals who plan, build, and run unified communications and contact center workloads for enterprises. Prepare for migration to a cloud-based contact center. Leverage the unique benefits and avoid the most common pitfalls when choosing a cloud-based contact center service. Integrate social media, CRM software, and multi-channel capabilities to provide best-in-class customer service. © 2014 3CLogic.com. All rights reserved.